There is nothing better to do on Canada Day then to start it off with a tasty breakfast hosted by the Seaforth Fire Fighters’. This event will take Place on July 1st from 7am until 12:00pm at the Seaforth Fire Hall, 31 Birch St. Come out and support your local Fire Fighters’. This is a great opportunity for the community to get together, socialize, and have a tasty breakfast. This entry was posted in Uncategorized on June 28, 2011 by Jan Hawley. Blyth Festival Theatre Opening for the Season of 2011! June 21st is the big day! You certainly DO NOT want to miss the Blyth Theatre Opening. The Blyth Theatre will be preforming six short plays by six authors about what hometown means to each author. The Blyth Festival Season will occur from June 21st until August 27th 2011. translator directory Be sure to visit the Festival as you will not be disappointed. Come visit the Tourism Centre located on Main Street S right beside Flower Magic and the CIBC bank. 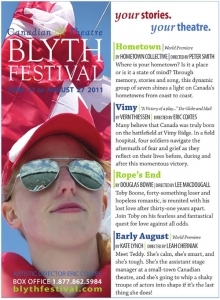 We have the Blyth Festival 2011 Guide along with lots and lots of other great information, or e-mail tourism@huroneast.com we will be happy to assist you! 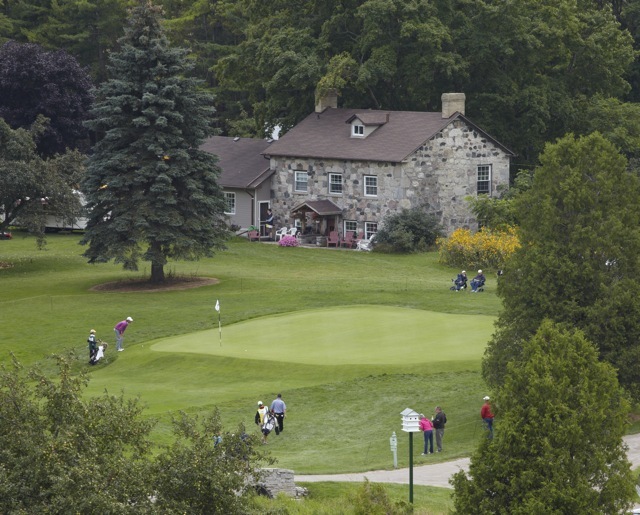 Seaforth Golf Club Hosts: Gateway walk a thon on June 26th at 7:30pm. If you have never walked down the middle of a fairway on a beautiful golf course now is your chance to do so and support a great cause at the same time. The Seaforth Golf Course is inviting all the non-golfers, golfers and Huron East or whomever can make it out, to Walk for Gateway on June 26th at 7:30pm (registration at 7:00pm) at the Seaforth Golf Club. You can get pledges for how many holes you walk or just the front or back 9 or just for making an effort! So make sure to get out there and get those pledges they are for a great cause! The Gateway Rural Health Research Institure is helping area residents lead a healthier lifestyle and one of the ways is by walking….. so bring your pedometer, bring your friends and family, and bring your pledge form on Sunday night June 26th. This entry was posted in Uncategorized on June 21, 2011 by Jan Hawley. Huron East is a lively municipality in Southwestern Ontario. The fusion of progressive town centres, rolling farmland, wildlife conservation areas, recreation and entertainment means Huron East has something for everyone. The Huron East blog serves to inform and engage residents and visitors. Explore everything that is Huron East.